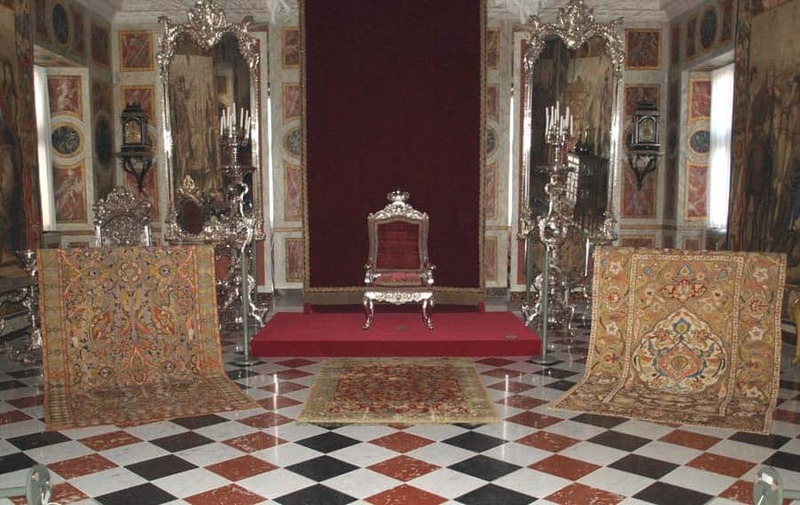 The Coronation Carpet is owned by the Danish royal family and stored at Rosenborg Castle in Copenhagen. The carpet was made in a Persian court workshop in Isfahan in the 17th century, and is in very good condition. The Coronation Carpet is only shown to the public once a year together with a small group of Chenille carpets acquired by the Danish royal family in the 17th century. The Royal Danish Collection’s has just decided that this year’s exhibition of these excellent and historical 17th century Persian carpets will take place 10-18 October in the Knight’s Room at Rosenborg Castle. Opening hours are daily 10am – 4pm. The size of the Coranation Carpet is ca. 12 feet x 17 feet and the carpet is made of silk pile and gold and silver threads. 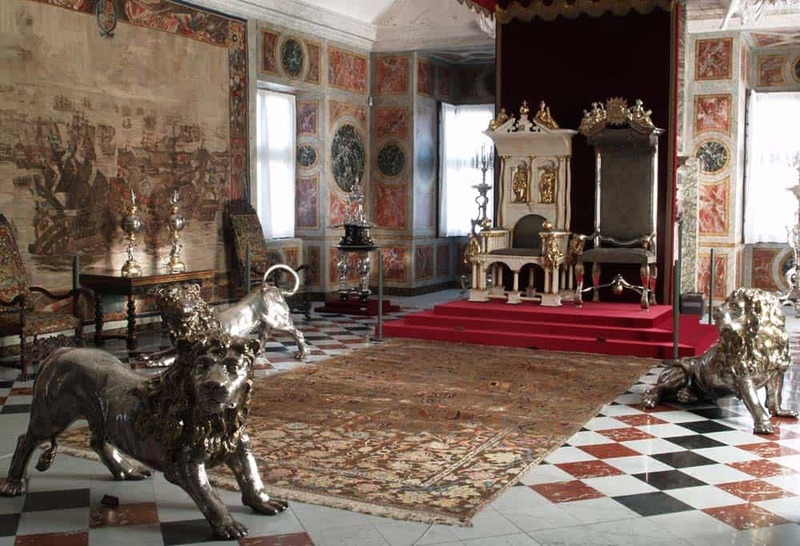 Former exhibition in the Knight’s Room: The Coronation Carpet and the three silver lions in front of the coronation chair of the absolutist kings and the throne of the queens. Photo courtesy the Royal Danish Collections. Former exhibition in the Knight’s Room. Chenille carpets in front of the throne for audience. Left: Chenille carpet Isfahan 1625-50. Right: Gold embroidered carpet with secondary chenille. Photo courtesy the Royal Danish Collections. 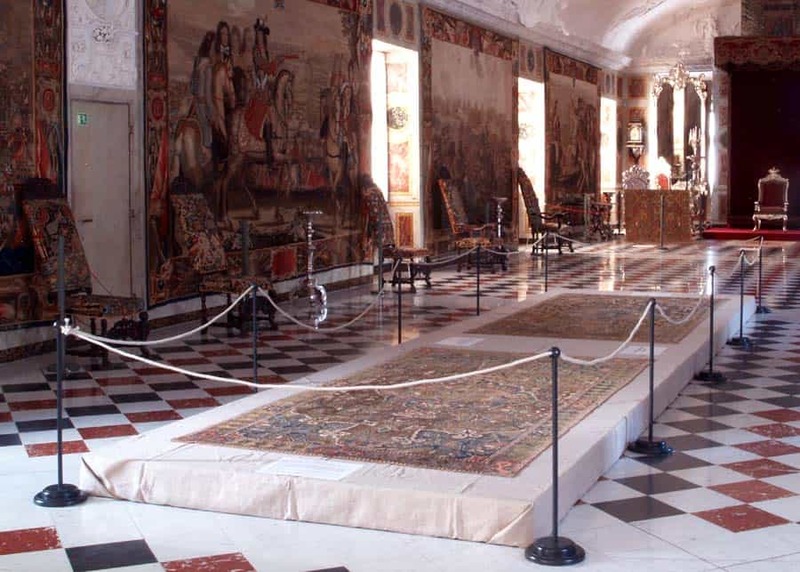 Former exhibition in the Knight’s Room: Chenille carpets acquired by the Danish royal family in the 17th century. Photo courtesy the Royal Danish Collections. Location and more information: Rosenborg Castle, Oester Voldgade 4 A, Copenhagen. 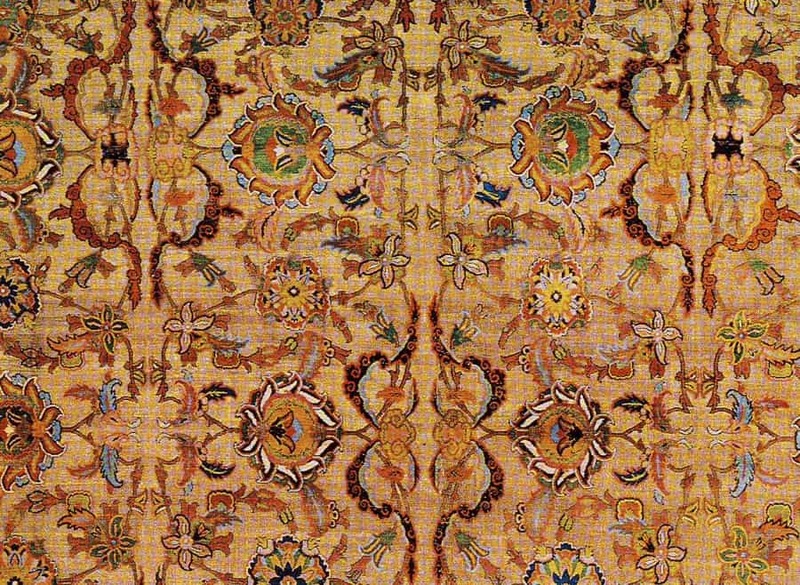 Literature: Denmark’s Coronation Carpets, Friedrich Spuhler, Preben Mellbye-Hansen, Majken Thorvildsen – The Royal Collections at Rosenborg Palace 1987.